Edit: links were broken, have been corrected. Canon’s professional and powerful raw processing and photo editing software that comes with every Canon camera, Canon Digital Photo Professional, can now be used on iPads. It’s Digital Photo Professional Express (available on iTunes Store, more information about the app here). 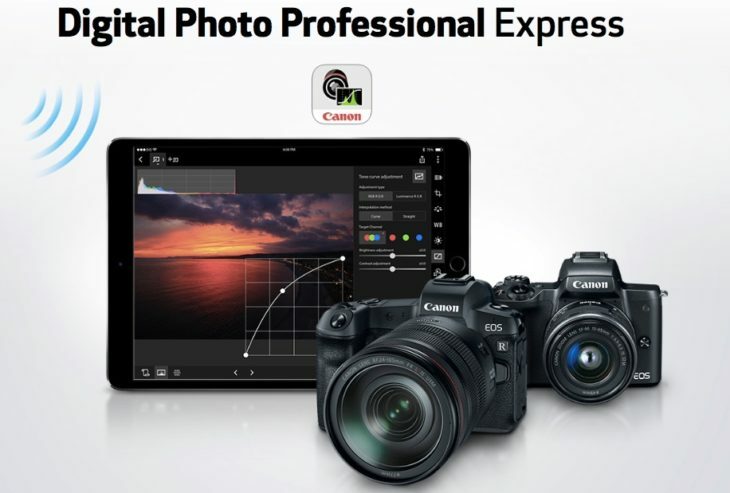 For portable and wireless digital photography workflows, Canon’s Digital Photo Professional Express (DPP Express) brings the powerful features of Canon’s DPP software to your compatible iPad. Working with Canon’s Camera Connect app, DPP Express streamlines the processing of JPEGs and .CR3 RAW files with an intuitive and powerful interface. View images and adjust settings right on your mobile device, and save files to the cloud, a computer or your camera. With DPP Express, it’s incredibly easy to maintain a wireless RAW workflow on the go. Learn more about Canon Digital Photo Professional Express here. The app is compatible with iOS 11 on iPad Pro all models, iPad(6th), iPad mini 4, iPad Air2 (iPad with installed RAM capacity 2 GB or more). Latest version for desktop PCs and MACs is here.